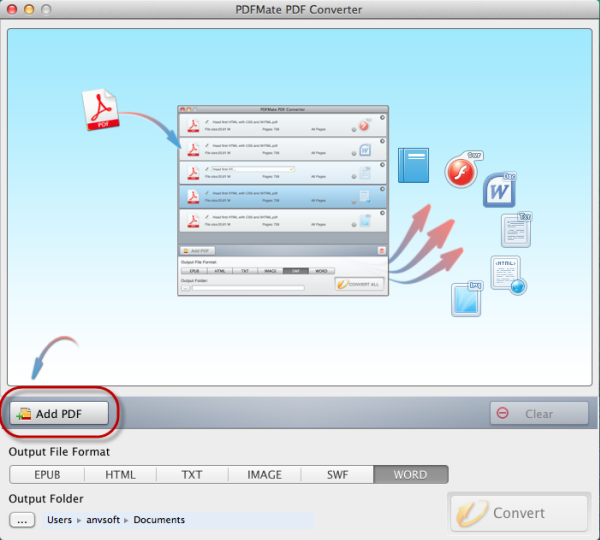 PDF Converter for Mac is a powerful 6-in-1 PDF Converter app for Mac users. It is the best combination of Mac PDF to Word + EPUB + Text + Image + HTML + SWF converter. 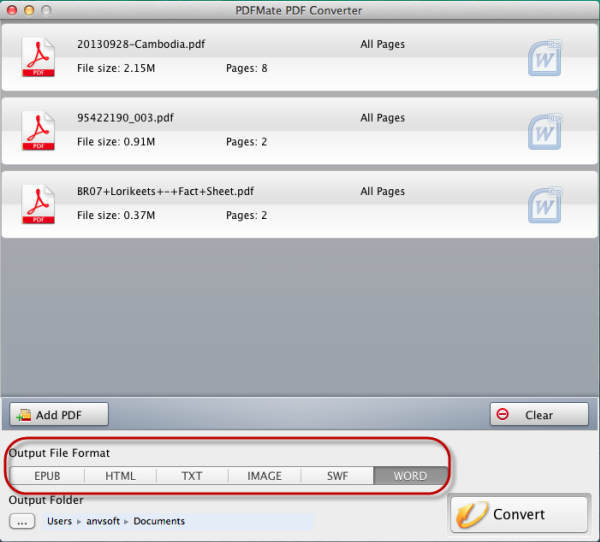 With this Mac PDF Converter, mac users can make full use of the original PDF document and get files in 6 different formats from PDF simply and quickly! and batch adding for conversion. Click the format that you want to output from the format bar, which provides EPUB, HTML, Text, Image, SWF and Word to choose. When you select one output format, the background color of the format would turn dark gray. Choose output folder, and then click "Convert" button to start conversion. 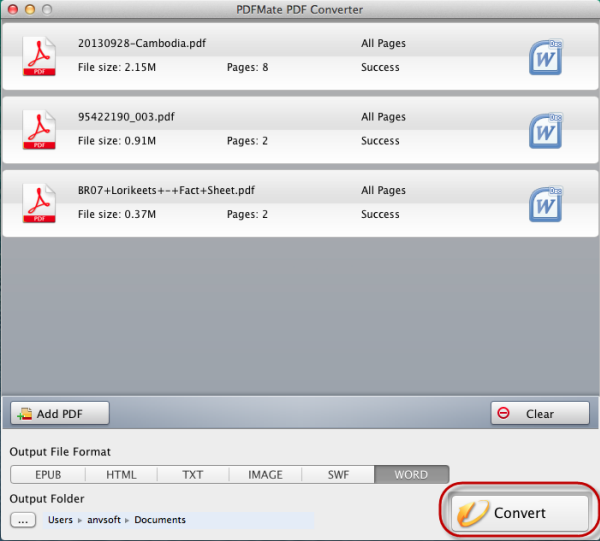 When the conversion is done, you can find your converted file from the output folder you set or just click the output format icon on the main window of Mac PDF Converter to open it. 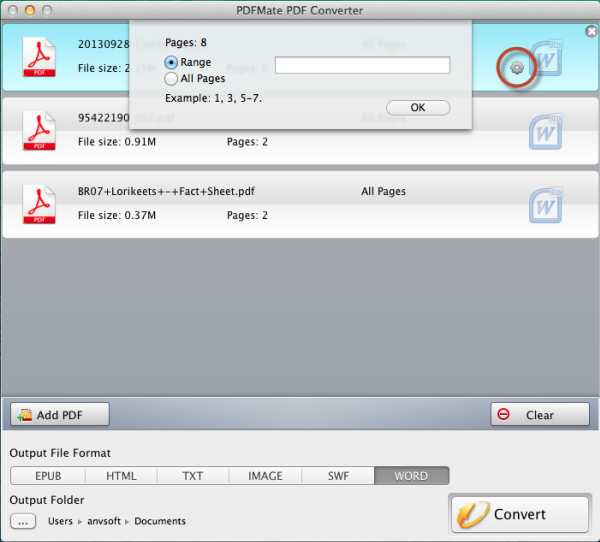 I use this Mac version PDF Converter to convert my PDF documents. It converts my PDF files very fast and the conversion result is of high quality as good as original.